Marie-Joëlle Zahar is Professor of Political Science, Director of the Research Network on Peace Operations and Fellow at the Centre for International Research and Studies at the Université de Montréal. From March 2013 until August 2015, she served as Senior Expert on Power Sharing on the Standby Team of Mediation Experts at the UN Department of Political Affairs where she remains on the UN mediation roster. In 2017, she was a senior expert in the Office of the Special Envoy of the United Nations for Syria. A graduate of McGill University, her research focuses on war to peace transitions with an interest in the conditions that sustain durable peace. She has particularly studied militia politics, transition violence and post-conflict power sharing. A non-resident Senior Fellow with the International Peace Institute (New York) and a member of the Folke Bernadotte Academy’s research working groups (Sweden), Professor Zahar has held a number of visiting appointments, including at the Université Lyon II (France), the Institut d’études politiques de Lyon (France), and the Centre d’études pour le monde arabe moderne, Université Saint-Joseph (Lebanon). She was a research fellow at Stanford’s Center for International Security and cooperation and a SSHRC post-doctoral fellow at the Munk Centre for International Studies (University of Toronto). Professor Zahar is author, co-author or editor of more than seventy academic books, articles, and chapters including Beyond the Arab Spring: Authoritarianism and Democratization in the Arab World (Lynne Rienner 2012-, co-authored with Rex Brynen, Pete W. Moore and Bassel F. Salloukh) and Intra-State Conflict, Government and Security: Dilemmas of Deterrence and Assurance (Routledge 2008, co-edited with Stephen Saideman). Her work has appeared in Global Governance, the Journal of Peacebuilding and Development, Critique internationale, and International Peacekeeping as well as in multiple edited volumes on conflict resolution and peace implementation. Her research has been funded by the Carnegie Foundation, the MacArthur Foundation, the United States Institute for Peace, the International Development Research Centre, the Social Sciences and Humanities Research Council of Canada and the Fonds québécois de la recherche sur la société et la culture. Professor Zahar has been widely invited to share her insights by top academic institutions and research centres, such as the American Academy of Arts and Sciences, the Christien Michelsen Institute (Norway), the Program on the Advancement of Research on Conflict and Collaboration at the Maxwell School of Syracuse University, the Centre d’études et de recherches internationales at Sciences-Po Paris, the International Institute for Applied Systems Analysis (Austria), the Center for the Study of Civil War at the Peace Research Institute of Oslo and the Program on Order, Conflict and Violence at Yale University. Professor Zahar has consulted and conducted trainings for the UN Office for the Coordination of Humanitarian Affairs (OCHA), the Geneva Center for Security Policy, the United States Institute of Peace, the French Ministry of Defence, the Department of Foreign Affairs and International Trade (now Global Affairs Canada) and the Department of National Defence, and the Pearson Peacekeeping Centre among others. 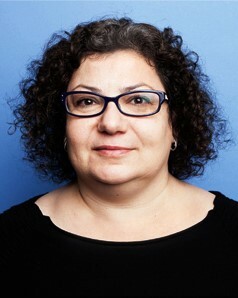 A member of the Board of Directors of the Canadian-Arab Institute and of Women in International Security-Canada, she has also served on the board of directors of the Canadian Political Science Association, on the executive committee of the Canadian Consortium on Human Security, and as research director of both the Middle East Network and the Research Network on Peace Operations at the Centre d’études et de recherches internationales of the Université de Montréal. Professor Zahar has served on the board of directors of the Canadian Political Science Association and the executive committee of the Canadian Consortium on Human Security and has consulted, among others, for the UN Office for the Coordination of Humanitarian Affairs (OCHA), the Canadian Government, the Swiss Federal Department of Foreign Affairs, the European External Action Service, the United States Institute of Peace, the Carter Center, and Search for Common Ground.